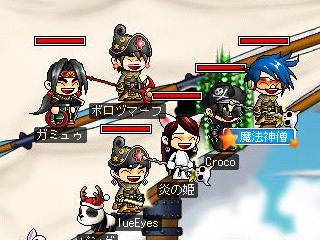 From L-R, Top-Bottom: Some Japanese player, Marvin, Ice, me, Geoff and Alex. And my character currently looks like this. I think the white overall suit is so bian tai. Hahaha.